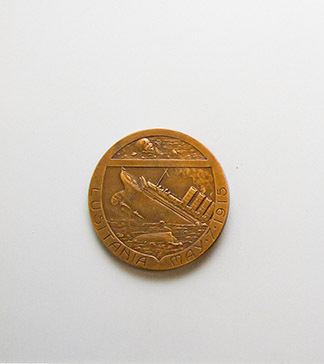 To mark the centennial of the end of the First World War, numismatic material from both sides of the conflict is now on view in the Bela Lyon Pratt Gallery. Five cases with themed displays address various aspects of the war; the vast majority of the objects are medals, which by the early 20th century had become an important medium of artistic expression for the masses. Only a fraction of the Gallery’s collection of the thousands of different types of medals produced by both sides is on view.